This bookmark is made in the US by F.A. Hermann Co. 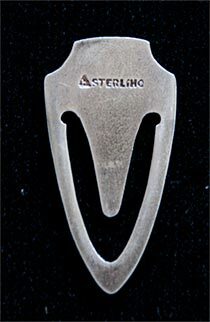 It is marked with the manufacturers hallmark and is also marked Sterling. 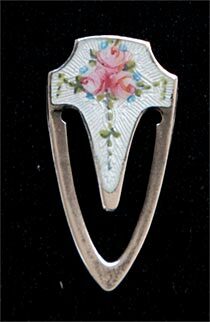 The front is enamel with a picture of three roses.